Enhance Your Photos with these top 15 Instagram Apps – with over a half a billion active users every month, Instagram is without a doubt one of the most popular social media networks available today that allow people to share images of all sorts. What better place to share snapshots of your life and your selfies? Listed below are 15 of the best apps that can be used to enhance your photos with awesome effects, colours and finishing touches. The possibilities are truly endless. Try out a few and see which ones are your favourite. 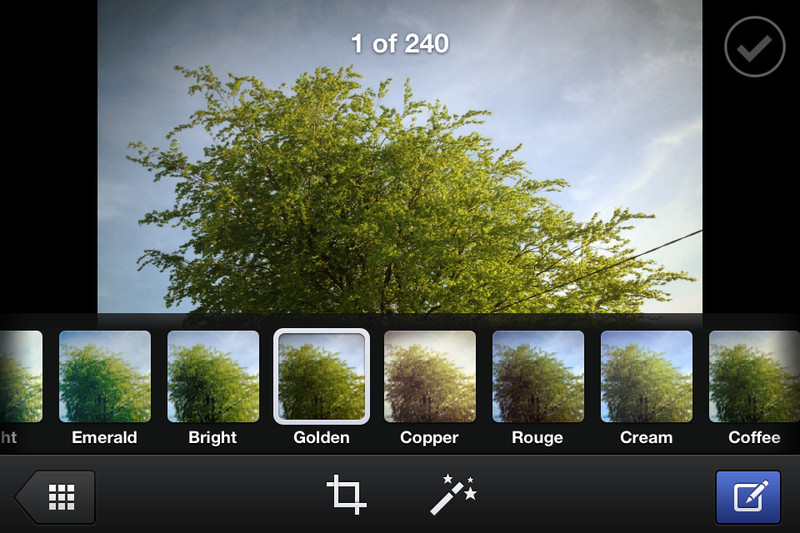 One of the most popular apps, this one lets you adjust the colour and contrast. You can choose whether you want a large adjustment or a small one, so that the photo still looks natural. Simply double-tap the screen and you can adjust the lighting of the photo. This app is especially useful when taking pictures in dark areas or if the camera on your smartphone does not have a flash. Add text or captions to your Instagram photos with Overgram. Add a quote to a photo of you standing by the beach or create your own meme. You can use a variety of fonts and colours. You can also adjust where the text lays over the image. The Bokeh effect makes out of focus images aesthetically pleasing. Although most smartphones will not generate such hazy images, the Bokehful app will imitate the effect. The results are a soft beautiful photograph. This app allows you to adjust the light and allows you to use effects that make the image appear as though it was shot under a bright sun. These are especially beautiful when pictures are taken outdoors and in nature. If you are not skilled with Photoshop and intricate photo editing software, this app allows you to cut out backgrounds, swap faces and blend images together. You can let your creativity and sense of humor run wild with this app. DXP is another app that allows you to blend images and add a softening effect. The end product is a double exposure, dream-like picture. This one is especially useful when shooting landscapes or trying to capture alot of composition into one photograph. It gives a “shrinking” or “miniature” effect to images. Pictures taken from a high angle or far away from the object are suitable for this app. This is another app that allows you to adjust the lighting on the photo after it has already been taken. This is especially useful when the lighting in the area is poor. Add super cool vintage effects to your photos with a true old-fashion vibe with this app. Effects include “dust”, “scratches” and light leaks. Your photos will look as though they were shot in the 1930s. One of the most popular apps used, Pic Stitch allows you to pair 2 images together side by side. This app is especially useful when doing before and after photos. Similar to 8mm Vintage Camera, this app allows you to create custom old-school photos with a variety effects such as lighting and tone. Take a few of your favorite photos and turn them into a collage. The app offers several different templates that vary in the amount of images that can be used at once. This app allows you to become a professional photo editor with little to no effort. In just a few seconds you can erase small skin imperfections like pimples and blotches. The end results are a natural finish. For a super cool effect, consider using Slow Shutter Cam. This app creates the illusion that objects are floating in the air due to a long-exposure capture. The possibilities are endless. This app is especially useful for images taken at night. These are 15 ultra-cool photo apps that can seriously turn your Instagram game up a notch. Let your imagination run wild as you create a striking Instagram profile. You may even boost your followers.